The Pittsburgh Water and Sewer Authority has added a lead-reducing chemical to the city water. The Pittsburgh Water and Sewer Authority (PWSA) has announced that it has started releasing a lead-reducing additive into the tap water of some city residents. According to the Pittsburgh Post-Gazette, the additive, called orthophosphate, forms a protective coating inside old service lines that prevents toxic lead from getting into the water. PWSA officials said orthophosphate is expected to be more effective than a soda-ash-and-lime treatment process instituted earlier to prevent pipe corrosion. According to the Gazette, the state Department of Environmental Protection has approved the use of the additive. PWSA said the additive is being applied in stages: first to the Highland II portion of the water distribution system at the Bruecken pump station, according to the authority. 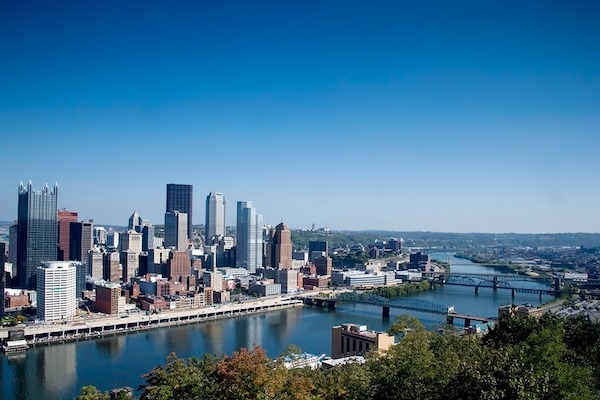 According to the Gazette, the Highland II system serves about 25% of PWSA customers, all located in Squirrel Hill, Downtown, South Side, West End and Mount Washington. According to the Gazette, treatment will begin at the Lanpher and Highland I systems within the next few weeks, the PWSA said. Highland I serves about 50% of PWSA customers. Orthophosphate is already used by Pennsylvania American Water Co., which serves nearly two dozen Pittsburgh communities. It is also used for corrosion control in Boston, Washington, D.C., Cleveland and Philadelphia, according to the Gazette. According to the Gazette, the water authority is applying the treatment as it continues replacing lead service lines throughout much of the city after testing revealed elevated lead levels in a number of homes. PWSA has removed more than 2,760 lead service connections over the past few years. According to the Gazette, the state ordered the utility to replace at least 7% of its lead lines each year until 90% of tested homes consistently show the metal at 15 parts per billion or less. In January 2019, PWSA approved $35.9 million to continue lead line replacements. The authority anticipates replacing roughly 10,000 lead service lines by 2026.